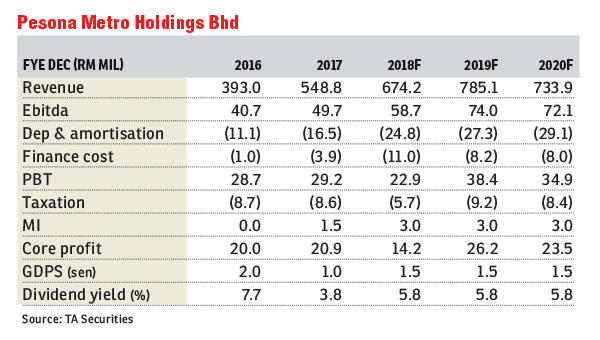 Maintain buy with an unchanged target price of 28 sen: Pesona Metro Holdings Bhd sees a reversal of fortune this year after an order book replenishment drought in 2017. Year to date, it has secured RM919.9 million in new orders. Its outstanding order book stood at RM2.1 billion as of end-June 2018 (including RM482.5 million new jobs secured in the third quarter of 2018, translating into four times financial year 2017 (FY17) construction revenue. This could last the group until early 2021. Its largest construction contract in hand, the Central shopping mall in i-City with a project sum of RM443.5 million, has been substantially completed. With uncertainties arising from the change of federal government in the 14th general election and a slowdown in the property sector, we understand that competition for building jobs has intensified. We think Pesona would be able to sail through the current challenging period on a healthy outstanding order book. It is keen to participate in upcoming packages for the Central Spine Road. 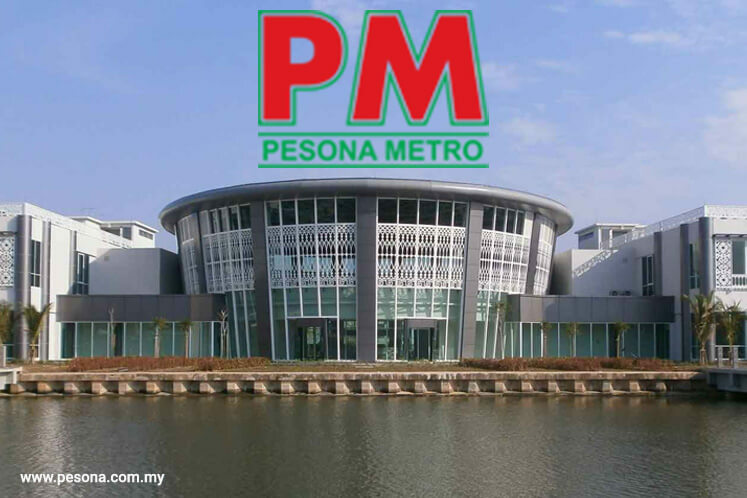 Pesona’s 30% indirect associate, Saluran Arena Sdn Bhd, which had previously put in a proposal for the Serdang-Kinrara-Putrajaya Expressway concession, has yet to receive approval from the Selangor state government. For Pesona to complete the acquisition of the remaining 30% stake in SEP Resources (M) Sdn Bhd (SEP) by Sept 30, 2018, both Pesona and the vendors had agreed not to proceed with the Phase 2 acquisition of the remaining 30% stake in SEP, which holds the concession for the Universiti Malaysia Perlis student hostel. The acquisition of SEP is deemed concluded with Pesona having acquired a 70% stake in SEP. We had incorporated a minority interest for the remaining 30% stake in SEP. There has been no change to our FY18 to FY20 earnings forecasts.